Yes, really. We woke up to more snow today, and another Nor’Easter is barreling toward us as we speak. Right now there is an army of landscapers in the courtyard of our condo, equipped with leaf blowers and snow shovels, clearing the pathways so that more snow can cover them tomorrow. More snow. And the typically snowiest month for Connecticut (February) is still to come. Not that I am complaining. 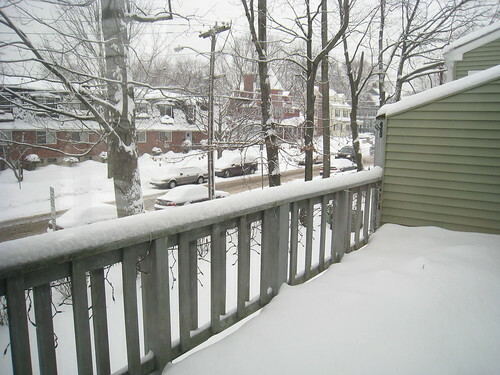 I mean, I am well aware that I live in Connecticut and that in the winter we get snow here. I’m just sayin’. We’ve had a lot of snow and winter is not remotely over. I’m crying uncle. I just want to hibernate until April. Yes, I know this is New England – but right now it’s feeling more like Buffalo!